Breaking through the glass ceiling. Virginia Slims, a top-selling brand of cigarettes in the US, ran a highly successful advertising campaign from 1968 right through to the 80s. For more than 25 years, magazine and billboards across the country bore the image of a powerful-looking woman with a cigarette in her hand and the bold tag line: ‘You’ve come a long way, baby’. Replace the cigarette with a glass of wine, and this could be the perfect image for the huge strides women have made in the world of winemaking over the past 30 years. 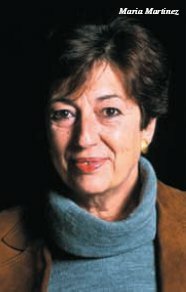 Martinez already had the exam grades necessary to win her a place on the winemaking course at Valencia University. She was, naturally, the only woman studying the subject. She graduated in 1970 and began her career as a winemaker. “In those days the culture was very different to today,” she says. “Wine was a man’s job: it certainly wasn’t what a nice girl should be doing – and it wasn’t the recognised opportunity it is nowadays. I had to fight hard to get any respect.”Martinez moved on to Bordeaux, where she worked for the Cordier family at their properties in St Julien and the Haut-Médoc. On her return to Rioja, her growing reputation as a winemaker won her a job at a big bodega, where she acquired a reputation for making top quality, ripe, fruit-driven wines. A medium-sized fish in a large pond, Martinez jumped at the opportunity offered her by the Osborne family in the mid-70s to head up a team of winemakers at their newly purchased Bodegas Montecillo, where she still works today. Thanks to pioneers like Martinez, Zelma Long, Helen Turley, Jenny Dobson and Lalou Bize-Leroy, women who want to make wine their career no longer face society’s implacable opposition. In fact, according to Jancis Robinson MW, “A steady stream of women winemakers over the last 20 years has become quite a torrent this century.” Paz Espejo is one of them: a woman who has fought her way to a commanding position in this once-male preserve. Coincidentally, Espejo is not only a countrywoman of Martinez’s but is also technical director for Martinez’s former employers, the important Bordeaux house of Cordier. 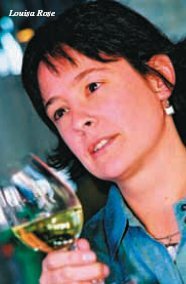 “I’m now Cordier’s technical director,” she says, “which means I’m in charge of buying in wines, blending and vinification for our brands, as well overseeing the winemaking teams who work at our properties in Pauillac, St-Estèphe and Sauternes. Jane Wilson is another scientist-turned-winemaker whose choice of career turned on a chance encounter. “I grew up in Scotland and qualified as a vet in 1982,” she says. “It’s one of those careers where you work like mad to qualify, then when you have passed all your exams you wonder what you’re going to do with it all. I went out to Australia as a jobbing vet in 1986 and met Len Evans at a party. I’d mentioned my frustration with my work, so he invited me to come out and work the vintage at Rothbury Estate.” Wilson turned up at Rothbury, unaware that head winemaker David Lowe had not been informed about her arrival. 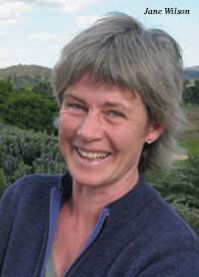 Her fascination with such paradoxes led Wilson to stay on in the world of winemaking, and she and Rothbury’s former winemaker, David (who she later married), now make wine on their own estate, Lowe Wines, which is based in the up-and-coming Mudgee region. Meanwhile, down in South Australia, Yalumba’s Louisa Rose is representative of a relatively small handful of women who were born into winemaking. “My family grow grapes in the Yarra Valley,” she says, “so although I initially took a physics degree in Melbourne, I ended up studying at Roseworthy” (Australia’s top wine college).